The commandos of the Afghan National Army (ANA) forces released at least 23 hostages from a Taliban-run prison in southern Helmand province of Afghanistan. 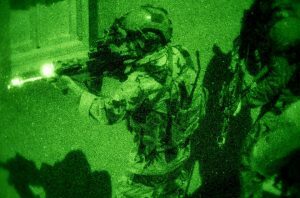 The hostages were released during a night operation conducted by the Afghan commandos in the restive Marjah district. The commander of the 1st Brigade of 215th Maiwand Corps of the Afghan National Army General Noor Alam said the operation was conducted in Sistani area late on Saturday night. He said the hostages were all ordinary civilians who were kept by the Taliban militants in the prison. According to Gen. Alam, at least 20 militants were killed and over 30 others were wounded during the operations in Helmand province. Gen. Alam further added that 2 Afghan soldiers and 3 policemen were also wounded during various operations in the past 24 hours in this province. This comes as at least 60 prisoners were released from a Taliban-run prison in southern Helmand province of Afghanistan earlier this month. The Afghan Special Operations Forces have stepped up night raids targeting the Taliban insurgents in the restive provinces recently as experts believe the operations have yielded positive results in curbing the insurgency activities of the militants.